Dynamic Discs employees and fans are often asked, “Which of your discs are the most popular?” We tend to think that we know the answers, but some of our ideas may or may not be biased depending on our personal favorites. It’s time to put all that speculation to rest with some COLD, HARD FACTS. It’s time for the Dynamic Discs Month In Review. March was full of more new releases, and they continue to dominate the Month in Review. The Fuzion Raider claims the top spot, and early feedback points to the Raider being a fan favorite for months and years to come, but the Opto Ballista Pro refuses to be pushed aside as distance king and demands a spot on the list alongside the Raider. 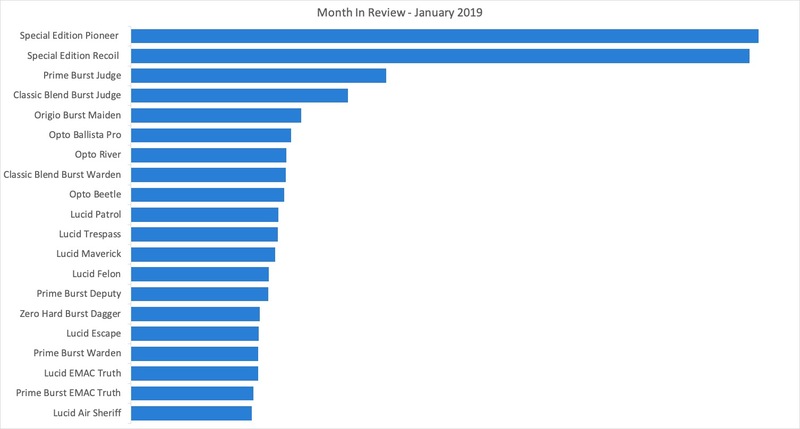 February’s new releases continue to hold spots in the top 20, as the Gatekeeper, Guard, Pioneer, and Recoil find success yet again. 6 of the Team Series discs make March’s list - Felon, Convict, Maverick, and Getaway, and Opto-X Fuse and Explorer. 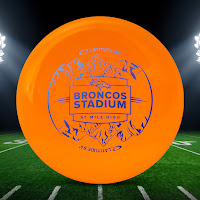 This year’s Team Series discs are getting great reviews, so if you haven’t picked some up to support your favorite touring players, you’re missing out on some great discs! 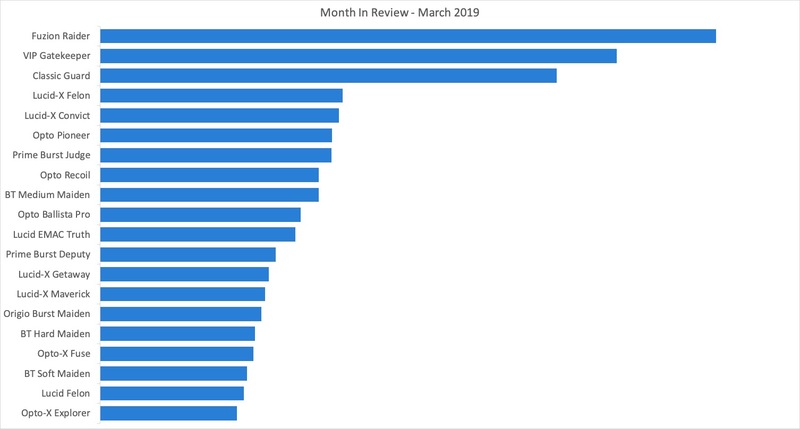 The Judge and Deputy retain their positions in the top 20 for March while the Warden falls off. This hurts my (Robert’s) feelings. However, the Maiden is making quite the splash in the top 20 by appearing in FOUR different plastics (#teammaiden rejoice). The tried and true (pun half-intended) EMAC Truth is back alongside the Lucid Felon to round out March’s list. Thanks for joining us in looking at a snapshot of our best sellers. Which discs are you surprised to see off the list? Leave a comment below, and let us know why your favorite disc should make April’s Month in Review! The team at Dynamic Discs spends tons of time planning each year’s Glass Blown Open, and we begin thinking about the next year’s event pretty much as soon as the current one is over. We realize that players may not put that much time and thought into this tournament, but it is important to get your ducks in a row when making the trek out to Emporia. Aside from registration and securing lodging, there’s another important aspect to consider - where do you eat? Emporia holds a ton of great places to grab a quick bite or kick your feet up and relax for a while, but if it’s your first time here, how will you know where to go? Check out our guide to some of the best food you have to try during the 2019 Glass Blown Open. This probably isn’t a big surprise for those of you who have been to GBO before, but Radius is one of our absolute go-tos for great food. A relaxing vibe awaits you after a long round with wood-fired pizzas, sandwiches, and of course special beer that’s crafted just for our big event. We’ve teamed up with Radius for years and it’s fair to say that they are incredibly supportive of the disc golf community. You can’t come to Kansas and not taste any of the BBQ we have here, but knowing the best place to go is often a secret that only locals know about. The food at BobbyD’s is out of this world, and with a super down to earth atmosphere, you can come here for lunch or dinner any day of the week. Sit at the counter and socialize or grab an order to-go, but make sure to try at least a few of their delicious sides. The name might not sound all too exciting, but people literally drive hours to visit and eat the comfort food they’re serving here. J’s Carry Out is rumored to have the best burgers around and their cups of coffee can’t be beat. A short drive from Peter Pan Park, a long round there means that grabbing tasty food afterward is easy as can be. Head across the street for some ice cream after dinner if you’ve saved some room! style” atmosphere, making you feel as if you truly did cross the border even if just for one night. Depending on how you played during the day, you might find that a strong margarita or two is in order while you’re there. If you can’t tell, we’re especially excited about this year’s Glass Blown Open and can’t wait to share with you all that Emporia has to offer. What’s your favorite place to eat while you’re in town? Are there any spots that are “must-visits” for out of towners? Share your ideas in the comments below! If you’ve been keeping up on our Disc Golf Experience events then you know that we’ve had an awesome time hosting these unique attractions over the last handful of years. Initially, we set up shop at the AT&T Stadium in Dallas, Texas and from 2014 through 2016 had an incredible turnout. 2017 brought us to Nashville, Tennesse at the Nissan Stadium, and in 2018 we stayed much closer to home and hosted our event at the Arrowhead Stadium in Kansas City, Missouri. 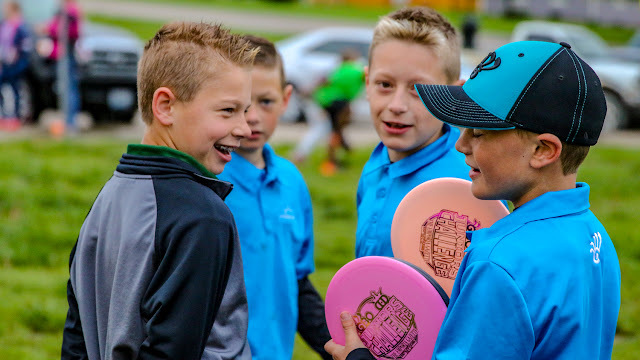 While these events have been a blast, sticking to the Midwest has made it tough for some of disc golf’s biggest fans to participate, so this year we’re headed west! On June 29th, we’ll be at Broncos Stadium at Mile High in Denver, Colorado. Interested in learning what’s in store? Keep reading and make sure to register for the 2019 Disc Golf Experience before it sells out! 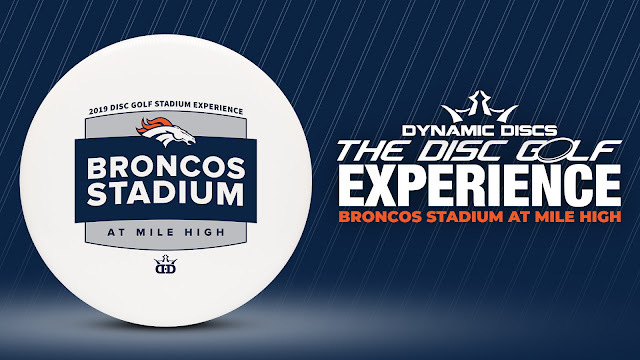 Chat with anyone who has attended a Disc Golf Experience event before and they’ll tell you that this is an opportunity you shouldn’t pass up. Our team sets up nine holes across the entirety of the stadium and you’d better believe that we use every ounce of creativity to create a challenging and unique layout. To keep things organized, you’ll have a set tee time and will get the chance to play the course with up to 8 people on a card. Depending on the experience you’re after, you may even have the opportunity to throw a special CTP hole from the Club Level of the stadium down to a basket on the 50-yard line! The Disc Golf Experience is a fun event designed for friends, family, or would even make for a great date activity. Kids under 12 cannot play the course, however, they can accompany an adult during the round. Don’t want to play the course but simply interested in attending the after party? Sign up for our Non-playing VIP Experience that lets you mingle with the pros. Kids under 12 can take advantage of the Family Experience by walking the course with you, or if you prefer to watch from above, this package is perfect for adults too. 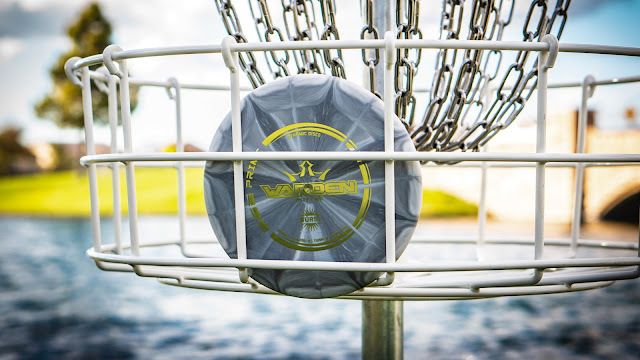 Our Player Pack Experience gives you all of the disc golf action you desire without needing to play, as you’ll gain field access that lets you accompany a friend on the course. You’ll also go home with a premium custom-stamped midrange from Latitude 64 and a new-release putter from Dynamic Discs. Those who want to play should opt for the Player Experience, where both discs plus the opportunity to play all nine holes awaits you. Do you really want to have the time of your life? 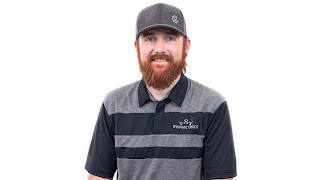 The VIP Experience is for you then, with everything the Player Experience includes plus the ability to play a hole with 2018 PDGA World Champ Paige Bjerkaas or 2010 PDGA World Champ Eric McCabe. Throw from the 50-yard line, enjoy an exclusive after-party, and gain first priority to purchase the actual portable Patriot baskets used in the stadium for the event. So what are you waiting for? Register today for your piece of the action at the 2019 Disc Golf Experience at Broncos Stadium! As the years go by, disc golf is becoming a sport that’s more and more reliant on financial partnerships. Whether it takes money to get trophies made for a tournament or it’s a professional touring player who could benefit from help with entry fees or gas money, there’s no denying that having the support of others can go a long way. While it doesn’t have to be scary or difficult to ask for sponsorship, there’s certainly a process that’s involved to make sure all factors are considered. When it comes to partnering with Dynamic Discs, there’s a good chance that you’ve chatted with our Sponsorship Coordinator Derek Savory. 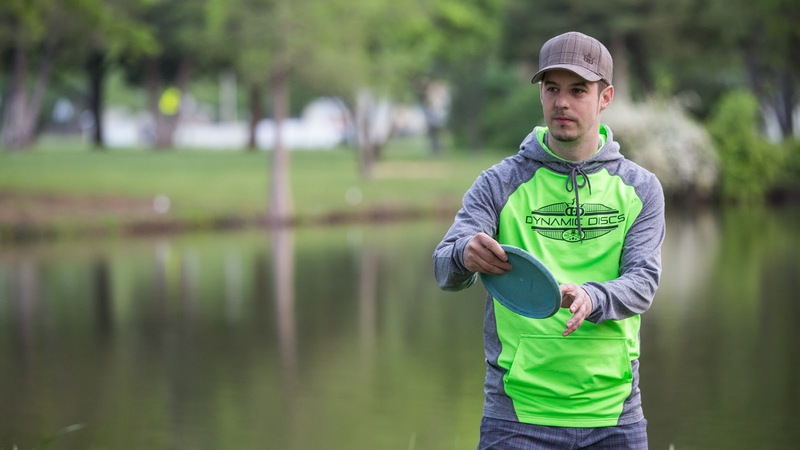 He’s been a part of our team for a little over two years and works hard to make sure that disc golfers locally and nationwide have the support they need. Let’s take some time to learn a little more about him! While it’s the dream job of many, working at Dynamic Discs isn’t a given for all disc golfers. For Derek, it makes sense that he would join our team as he explained, “If you're a disc golfer that just moved 1200 miles halfway across the country from Upstate NY to Emporia, KS, is there really any other place you'd rather work?” Savory’s job is multifaceted, and while he has touched the lives of many, he has a humble attitude toward his work. Like most of us here, he sees his position as one that allows him to interact with the greater disc golf family across the nation. Thanks to Derek, events from coast to coast are run in a more professional manner and players are able to fulfill their dreams of attending events that otherwise may have been out of reach. Despite the cold weather that Derek often sees in both locations, he doesn’t let it stop him from getting out there and playing with friends for fun or in a tournament setting. He notes that his coldest round was during a -13 degree day, proving that he has a true love for the sport! The next time you’re curious to see how Dynamic Discs can potentially turn your disc golf dreams into reality, reach out to Derek to learn more about how we can help. By all intents and purposes, winter is over and so is the 2018-2019 Winter Marksman League. While it’s not always easy to be able to practice putt during the offseason, competing in this event gave tons of players around the globe the chance to keep their skills fresh over the last few months. Some decided to join a local league simply for the fun of it while others wanted to truly sharpen their putting ability and make an attempt at winning some awesome prizes. In years past, we’ve seen that many participants were able to improve their putting over the course of six weeks, but now that we’ve partnered with UDisc the numbers we’re able to pull are even more incredible. Let’s take a peek at some of the highlights from this past season. Just slightly lower on the list was Iceland and, of course, Alaska. When viewing individual player statistics and putts as a whole, it’s pretty shocking to see just how many times a disc catching chains was actually logged. Of the 892,035 putting attempts within the Winter Marksman League, 45% of them, or 403,753 were made. Is that higher or lower than you would’ve guessed? 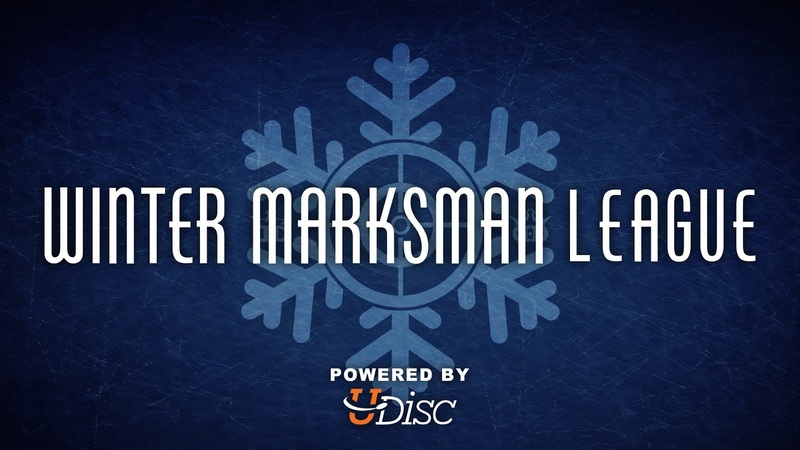 The disc golf season will no doubt fly by once again this year, so as the weather begins to get cooler in a handful of months, keep your eyes open for information on the 2019-2020 Winter Marksman League! As the years go by it seems that the disc golf offseason is becoming shorter and shorter. While some players don’t necessarily observe this several month time period and instead prefer to play all year long, winter weather does hinder others from getting much time out on the course. With the 2019 season in full swing, we’ve already seen multiple reports on social media of some of the top touring pros reacting to such a major temperature change during their time in Arizona compared to colder days back home. You don’t have to be on tour to encounter these issues however, as Mother Nature has seemed to have a mind of her own as of late. So how exactly should you transition from cold and snowy days to ones full of sunshine? Let’s cover some of the basics. Those who live in colder areas of the nation are no strangers to layering up before playing a round of disc golf. Even though our bodies do naturally warm up as our day goes on, there’s a good chance that you’ll still be left wearing just as much clothing as when you started. However, as the season gradually transitions into spring, planning ahead will be more and more vital. Make sure to include enough layers in your outfit so that you’ll both be warm enough should it not reach the highs you were expecting or in the event things do heat up, you’ll be able to take off a jacket or pair of thermal pants in order to be a bit more comfortable. There’s nothing worse than playing when you’re too hot or too cold, even if it’s just for some casual fun. We talk about one’s bag a lot, and for good reason - without the proper tools, there’s no way you’re going to execute the type of round you’re after. More experienced players, and particularly those who live in colder climates, are well-versed in knowing how discs fly in winter weather and are adequately prepared. Not only might you throw different molds depending on the condition of the course, but you’ll most certainly be using different plastics as the weather gets warmer. Now is the ideal time to make these adjustments and start to phase out your discs that are intended for snowy conditions. If a trip to your local sporting goods store to purchase some newer items for springtime is required, so be it. As with any transitionary period, take time to look at all of your gear, including your shoes and bag, to see if you can go another season without having to purchase new items. Some of you might still have to endure another few weeks of knee-high snow, and for that, we’re truly sorry. However, if you’re stuck inside and can’t get out to play, what better time to get ready for warmer days? It’ll happen before you know it and you won’t want to be caught unprepared. What things are most important to you when moving out of the offseason and into warmer weather? Let us know below! Is This The Best Disc Golf Ace Story You've Ever Read? “I had only gotten very short aces before this one, and only a rare few of them. The longest one could not have been longer than 160 feet or so. None in a tournament either, and still no tournament ace - just recreational aces. It was the early summer of 2015 and the Finnish weather can be fickle, so as soon as it wasn't raining I decided to head to a brand new 9-hole course that had been opened on a nearby ball golf course, in conjunction with their 9-hole everyman ball golf course. Groups teeing off could have both ball golfers and disc golfers, which I thought was awesome, but I wasn't sure how it would actually work. The prospect of playing a few rounds and enjoying a burger and beer at the high-end clubhouse mid-rounds sounded very enticing so I packed my bag and off I went. I played two rounds first, 9+9, and got to play alone - no discers and no ballers there other than me. After the rounds, I went for the burger. It was something I had not experienced before - to be able to have a quality burger and a nice glass of cold beer after a round, and then just go for a new round after the break. Just step out of the clubhouse and you were almost to tee 1. I started getting very tired while eating and was already considering leaving after the meal when the caddie master walked up and politely asked if she could have a moment of my time. Equally politely I agreed and we chatted a moment about the course. I told her it was very well thought out and that I was pleasantly surprised. She, in turn, revealed to me that a disc golfer had actually been called in to create the course. We chatted for a while more and then she left. I finished my burger and was getting my stuff to head home when she walked over again and said that the designer of the disc golf course was on his way to the course. She said he had asked if I wanted to play a few rounds with him. That changed my mood immediately and I agreed. I was still tired, but I wanted the chance to meet the guy who designed the course. He arrived shortly and off we went. The round wasn't good for me, I was that tired. I kept the complaints to myself and just told him all the things I liked about the course. We finished the round and he asked me if I would join him for one more. I was on the fence, and considered just saying no for the longest time, but decided that I probably would not come to visit that often (the course is an hour drive away, and I had free to play courses closer), so why not? We walked to the first tee and he threw his shot on the 345 foot slightly downhill hole, where the basket sits behind the trees on the left - basically a blind hyzer shot. It flew nicely and skipped somewhere close to the basket. I applauded his shot, and grabbed my Sorcerer (back then I bagged Sorcerers) and tried to throw it smoothly on a low line similar to his. I succeeded too, or so I thought before I saw it start to fade too soon. It did clear the corner of the trees, but it still looked bad. I thought ‘it's gonna leave me at least a 60-foot putt’, so I just turned around to get another disc for a mulligan, not waiting to see the rest of the flight. And that's when it happened. The sweet sound of chains. I stopped in my tracks, looked at him, he looked at me and we both were just stunned. I said ‘it can't be in... it was too short’, and he agreed, but took a few steps to the side where he could see the basket and confirmed it was in. How’s that for inspirational? Disc golf season is finally upon us and now’s the time to get an ace! Whether it’s your first one or something truly special like Tero’s, an ace is always a huge milestone in one’s disc golf career! New releases rule the day (I mean, month) and claim 5 of the top 6 spots. The Recoil and Pioneer retain their momentum and the top two spots. Paige Pierce is a huge fan of both the Gatekeeper and the Deputy, as she carries multiple Prime Burst Deputies for putting and throwing, and the Gatekeeper has already made her bag for 2019. The Guard is sure to please fans of deep dish putters with its clean release and stable flight. Even with a release limited to Team Trilogy, the Raider debuts at the 6th spot, and I have a feeling we’ll see it rise up the list and retain a top spot for many months to come. Spoiler alert - it’s good. It’s really good. Once again, multiple Judges and Wardens make the list as #teamputter fans continue to show their loyalties. 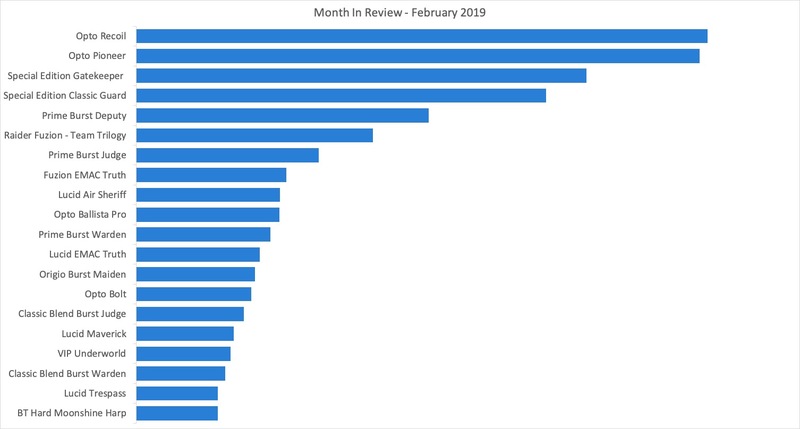 It’s likely that the EMAC Truth will never leave the list, and it joins the Gatekeeper as the only two midranges on the list for February. Slower arms had a field day and bought up Lucid Air Sheriffs and Opto Bolts in droves, and their consistent-flying relatives, the Trespass and Ballista Pro, hold their top 20 positions. Westside putters are getting a lot of love lately as the Harp climbs into the top 20, and the Maiden drops from 5th to 13th but stays on the list. Last but not least, understable fairways retain a presence with the Lucid Maverick and VIP Underworld. Thanks for joining us in looking at a snapshot of our best sellers. Which discs are you surprised to see off the list? Leave a comment below, and let us know why your favorite disc should make March's Month In Review! January was a big month for the Latitude 64 new releases, the Pioneer and Recoil. The Pioneer fits that overstable fairway driver slot that everyone needs, and the Recoil has a promising, slightly overstable flight. No surprises for the Judge as it occupies the next two spots in Prime Burst and Classic Blend Burst. The Maiden has made quite a splash over the last several weeks, as players are enjoying the neutral flight and shallow profile. The Ballista Pro made it into bags of all skill levels last year, and it doesn’t seem to have slowed down. Some “older” discs are holding their spots well: River, Trespass, Felon, Escape, and EMAC Truth. I (Robert) am clearly happy to see the Warden claim two spots on the list (#teamwarden) alongside a couple of popular putters - the Deputy and the Dagger. The Maverick continues to find utility in players’ bags, and the Patrol retains its popularity with newer players. Last but not least, the Opto Beetle is a fantastic catch and super slow approach disc, and the Air Sheriff is sure to add distance to plenty of drives, including Bobby’s (if you watched the new release livestream). Thanks for joining us in looking at a snapshot of our best sellers. Which discs are you surprised to see off the list? Leave a comment below, and let us know why your favorite disc should make February’s Month In Review!